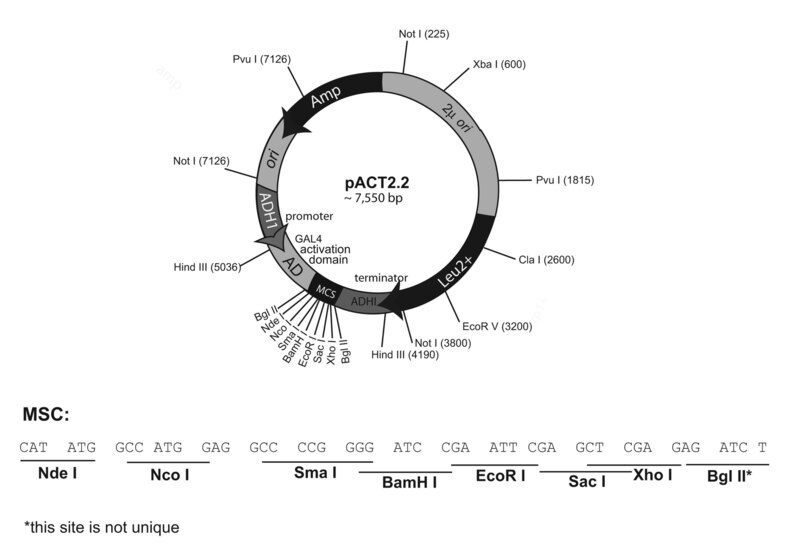 Yeast two-hybrid transcriptional activation domain vector, containing the MCS illustrated in "author's map". Use for traditional cloning for a target cDNA sequence to test a directed yeast two-hybrid interaction. 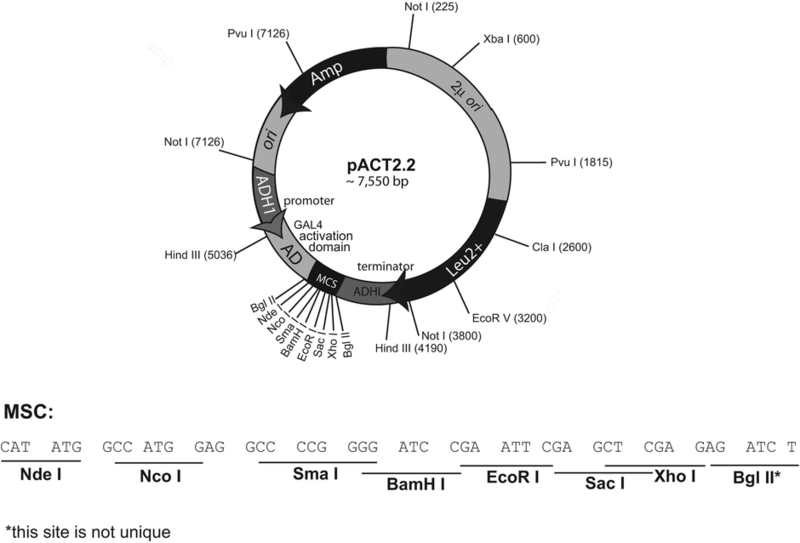 This plasmid is intended for use exclusively as a teaching resource as part of the Integrated Genomics Discovery-Based Laboratory Course. 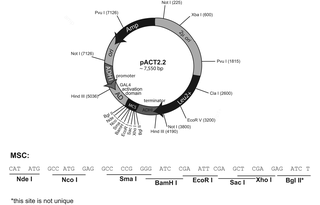 Addgene does not make any guarantee that the plasmid is suitable for research purposes.